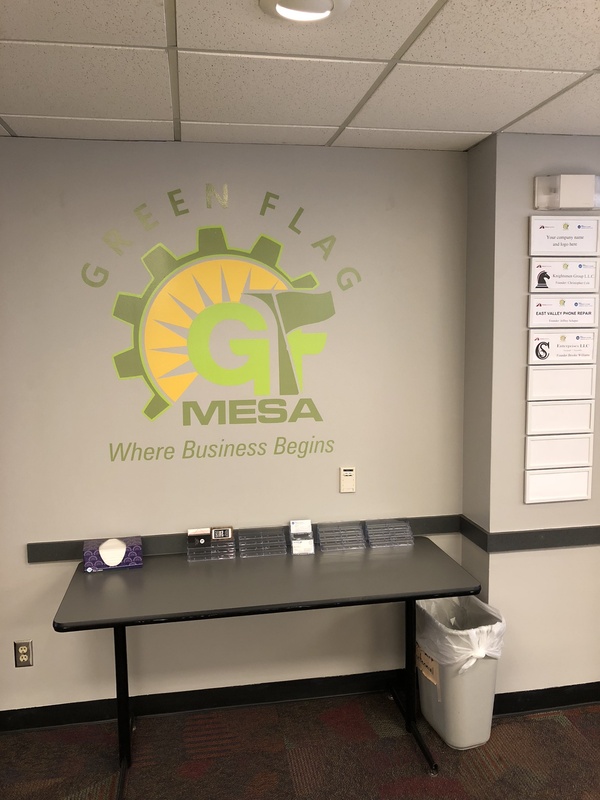 Mesa Community College and the Mesa Chamber of Commerce established Green Flag Mesa, a new business development center for Mesa Community College (MCC) students. 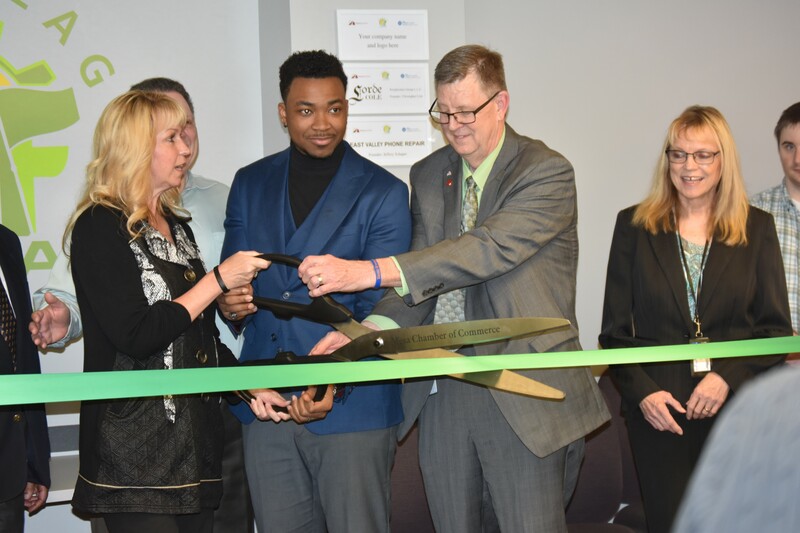 Officially opened for business March 7, 2018 the facility bolsters development of small businesses operated by MCC students. What is Green Flag Mesa? Green Flag Mesa is a unique partnership between the Mesa Chamber of Commerce and Mesa Community College, providing students with office space, business tools, and the knowledge resources needed to launch a new business venture in today's competitive environment. In this partnership, Mesa Community College students will work in space provided by the Mesa Chamber of Commerce and have access to the business knowledge, experience, and the networking opportunities of Chamber members. 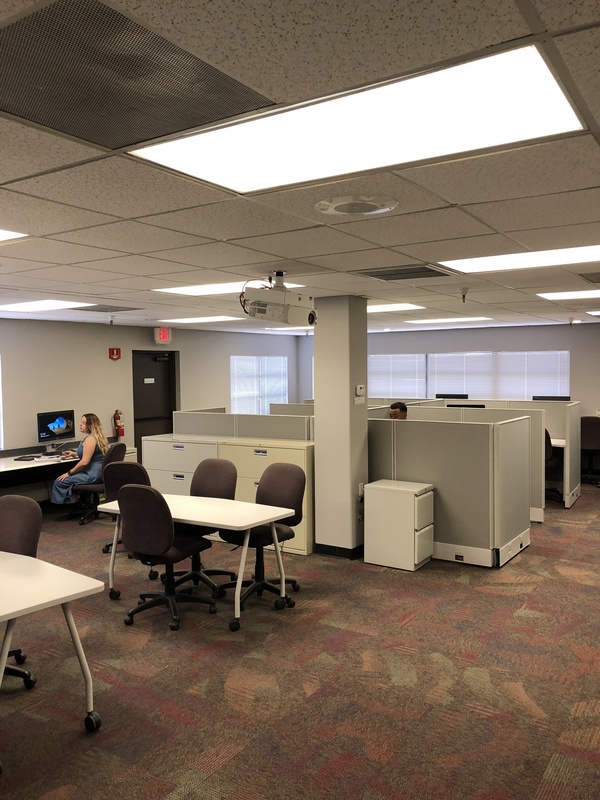 The remodeled space is located at the Mesa Chamber of Commerce’s office at 165 N. Centennial Way, Suite 208, Mesa and provides work space for up to 10 small businesses for up to one year. 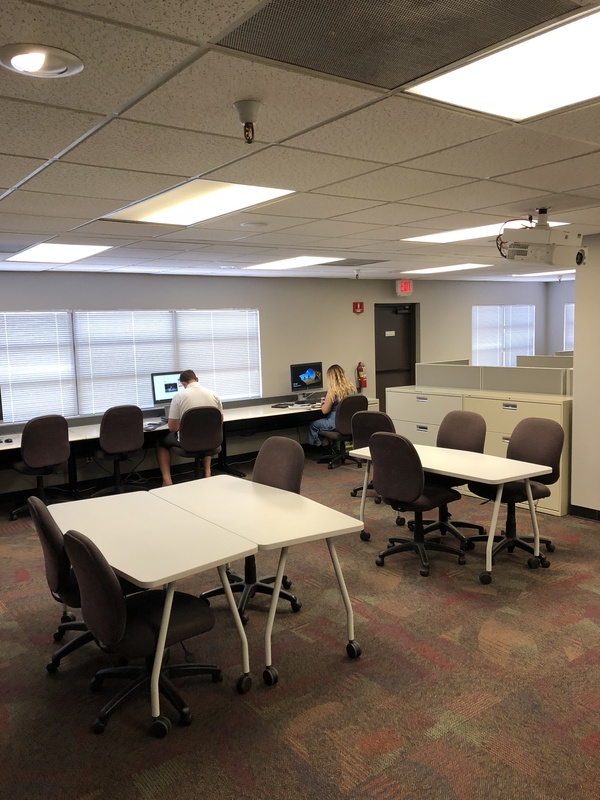 Qualified MCC students use the space for a modest $10 monthly fee. Christopher Cole, operator of KnightsMen, a men’s style and design business, is one of the first MCC students to take advantage of Green Flag Mesa resources and supports. "Green Flag Mesa will help me connect with the community and hopefully expand my influence," said Cole. “This is just the beginning,” said Sally Harrison, Mesa Chamber of Commerce president and CEO. “Our plan is to partner with Chamber members to continually expand the resources available to students, further stimulating the growth of current and emerging businesses in the East Valley. MCC students with a fully developed business idea, one that is ready to launch, may apply by completing the online form or contact Dan Piercy directly. What will Green Flag Mesa Provide? How do I qualify to become a participant? What if I am not currently enrolled at Mesa Community College? If you are not currently enrolled, you must enroll in at least one course at Mesa Community College or we are currently offering a 1/2 credit course, SBS190AA, Developing a Practical Small Business Plan, which is an open entry, hybrid course and will qualify you as a participant in Green Flag Mesa. Open entry means you may enroll at any time during the current semester provided there is 8 weeks remaining to complete the course. Hybrid means a majority of the work will be completed online with periodic face-to-face meetings at Green Flag Mesa. Completed or currently enrolled in a) GBS151, Introduction to Business; b) MGT253, Owning and Operating a Small Business; c) EPS195, Business Start-Up and Planning; d) MKT271, Principles of Marketing; e) MKT110, Marketing and Social Media; f) MGT174, Developing a Business Plan; g) SBS204, Small Business Marketing and Advertising; h) SBS230, Financial and Tax Management for Small Business; or shows the business acumen to own and operate a business. A written business plan. You can enroll in our 1/2 credit course "Developing a Practical Small Business Plan" to learn how to write your business plan if you do not already have one. Potential to provide employment in the City of Mesa? Business has a clearly identified target market.